We don't know about you, but in our humble opinion, this season of American Idol has been the most captivating since Kelly Clarkson took home the title back in 2002. It's thrilling to see so many talented people from different cities and walks of life come together week after week to use their incredible vocal skills to impress judges Katy Perry, Luke Bryan and Lionel Richie, as well as, of course, the American audience. 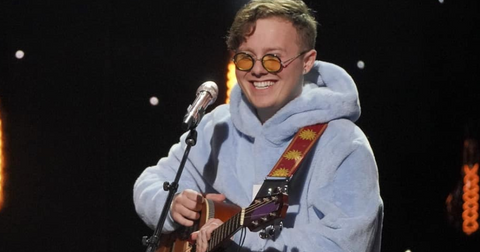 And though there have been several standout performances so far — including even some returning contestants — we've recently become obsessed with Nashville's Eddie Island, the part-time Uber driver who's been leading us to wonder what primetime-worthy talents our own ride-share drivers have hiding up their sleeves. So, who is Eddie Island? 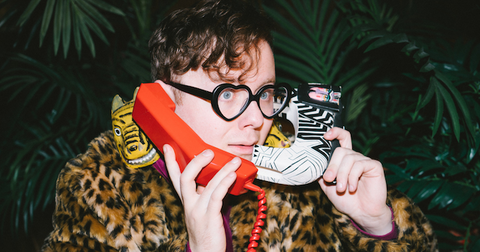 Eddie Island (née Liggitt) has been making music under several monikers for many years. The Nashville suburb resident still keeps his project Lindenbrook (named after a street where he grew up) active, and used to have a podcast called Space Station Affirmation under the name Cozy Commander. "Music is my life," he writes by way of a bio on his Facebook profile. "It's what I wake up early for and what keeps me awake at night." 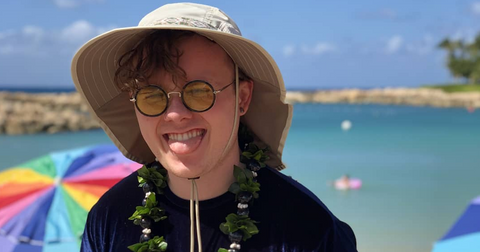 But now that he's traded in his mid-aught indie aesthetic for an edgier 2019 vibe, he explains that his new stage name is built around his "world and mission of affirming, inspiring, and empowering a global family of fans. 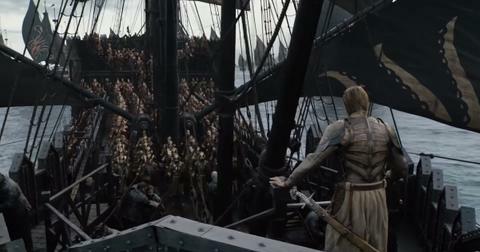 Nobody has to be on an island or alone anymore." Eddie visited Nashville for a Paramore concert and never left. After graduating from Cedarville University in Ohio, Eddie had his eyes set on moving to Nashville, but couldn't figure out how to make that happen. "I interned .. for American Songwriter Magazine ... I fell in love with the town," he told local news outlet, Brentwood Home Page. One day, a friend had an extra ticket for a Paramore concert in Nashville — and that turned out to be the first day of Eddie's new southern lifestyle. "I really wanted to make the jump to Nashville, but it was scary. [The Paramore concert] was my motivation and I just drove to Nashville. Called a bunch of people from the alumni network, slept on someone's couch the night after the show, and then just kind of couch-surfed for about a year. I moved around 10 times my first year in Nashville ... there were chickens outside my window in the morning, and then the next month I'm living downtown — it was just crazy," Eddie remembers. Now that he's settled in the Nashville suburb of Franklin, he couldn't be happier. "I have a lot of friends there, most of my family lives in Franklin, I'm in downtown all the time... I just love it, it just gives me a lot of life. It's a very special place," he said. In fact, the first thing Eddie wants to do if he wins American Idol is to get his family settled in a beautiful house in Franklin. He also wants to get a "sparkly blue Porsche," but the real goal is to "make music [his] job and be an artist full time." Follow Eddie on social media — and get in on his merch! Since he's been making music for a while now, we've had the chance to witness Eddie's glow-up through a quick social media search. These days, he's traded his Lindenbrook earnestness for more of a hipster aesthetic and Eddie sure knows how to use social media to build a hype. Follow him on Instagram, where he posts under the moniker @nashvillemayor, in order to stay up to date with his latest projects and see the merch that he's slinging ahead of the American Idol finals. 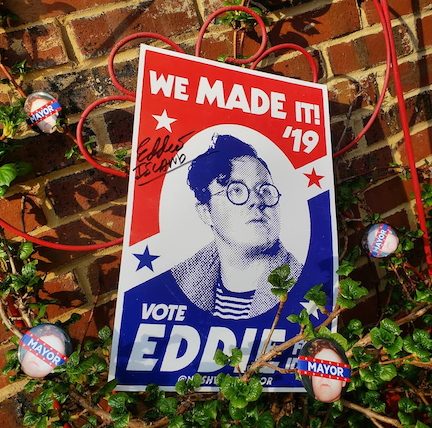 Die-hard fans will rep Eddie by getting in on his Starter Kit, which boasts his "world-famous" MAYOR button, an exclusive Eddie popsocket, and a 11x17 "Vote Eddie" poster autographed by the Elton John-lookalike himself. 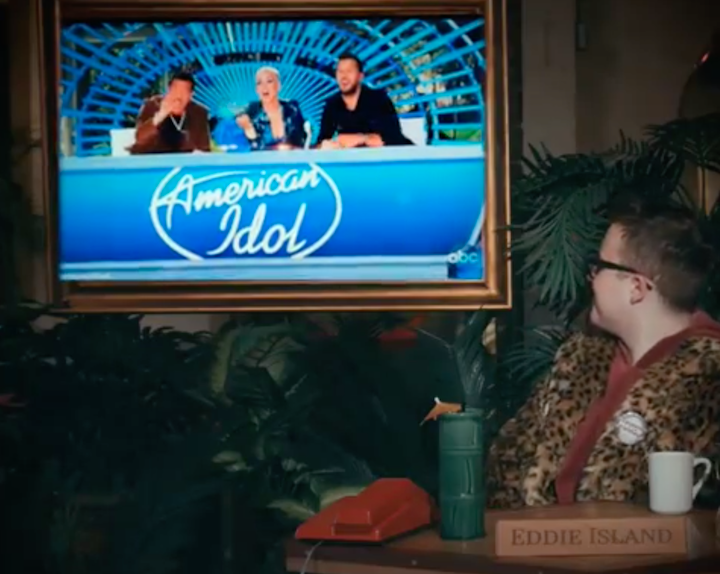 And if you can't get enough of his songs on American Idol, his impeccably produced YouTube videos and SoundCloud tracks are embedded into Eddie's website, which you should check out here. And if you can't get enough of his songs on American Idol, his highly produced YouTube videos and SoundCloud tracks are embedded into Eddie's website, which you should check out here. Good luck, Eddie! We're rooting for you. New episodes of American Idol air Sundays and Mondays on ABC at 8 p.m.